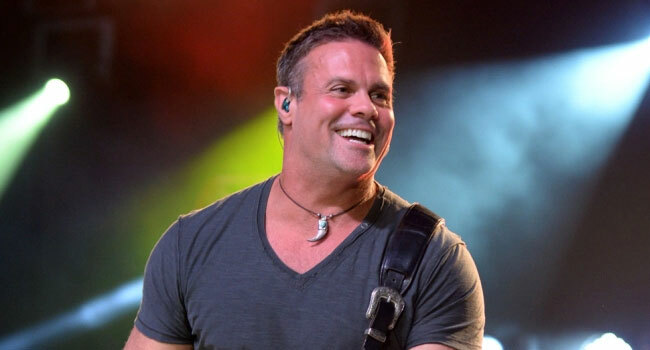 In its preliminary accident report, the National Transportation Safety Board (NTSB) has revealed that engine failure was the cause of the fatal helicopter crash that killed Montgomery Gentry’s Troy Gentry on September 8th. The accident happened shortly after take off at the Flying W Airport & Resort in Medford, NJ, hours before the duo was scheduled to perform a concert there, and was purely for pleasure. NTSB officials state the pilot, 22 year old James Evan Robinson, reported over the airport UNICOM frequency that he couldn’t “control engine RPM with throttle inputs,” but could “roll” the twist grip with no response. Robinson discussed options to land the Schweizer 269C-1 helicopter with the chief flight instructor, but ultimately elected to “stop the engine and perform an autorotation,” which the pilot had performed successfully several times in the past. Robinson was advised by his superiors to initiate the maneuver over the runway instead of the wooded area where the chopper crashed. The helicopter entered autorotation about 950 feet above the ground but was quiet during descent “because the engine was off.” During the descent, the rotor RPM decayed to the point where the instructor could see the individual rotor blades. A high-pitched “whine” was reported as the chopper descended from view and crashed prior to reaching the runway. NTSB officials received a video by local police showing the chopper’s descent which became more vertical and increased rapidly before the chopper crashed out of view. The report indicates no sound was heard from the helicopter itself as it crashed. Officials examined the wreckage at the crash site. They determined the cockpit was significantly deformed by impact damage, but the engine and main transmission remained mounted in the airframe. All main rotor blades were all secured in their respective grips and remained attached to the main rotor head and mast. Each of the three rotor blades were bent significantly at each blade root with a fractured pitch-change link for the yellow blade. Robinson was a certified commercial pilot and instructor. It’s estimated Robinson had logged more than three hundred hours of flight experience in the Schweizer 269C-1 chopper. FAA records indicate the helicopter was manufactured in 2000 and had accrued approximately 7,900 total aircraft hours. It most recently passed its one hundred hour inspection on August 17th. Gentry was pulled out of the wreckage and transported to a local hospital where he was pronounced dead. Robinson was pronounced dead at the scene and took emergency personnel hours to remove his body from the chopper. This information could change when the final report is released. Gentry was best known as a member of the award-winning country duo Montgomery Gentry, along with his longtime friend Eddie Montgomery, who was not on board the chopper. Montgomery and the band were at the airport when the accident happened. The pair began performing together in their home state of Kentucky and released their debut album, Tattoos & Scars, in 1999. The duo, whose trademark sound combined Southern rock and country, scored a string of No. 1 hits, including “If You Ever Stop Loving Me,” “Something to Be Proud Of,” “Lucky Man,” “Back When I Knew It All” and “Roll With Me.” They achieved platinum certification on three of their albums and gold certification on three others. In 2009 the duo became members of the venerable Grand Ole Opry, which was Gentry’s proudest professional achievement. The band was planning to release an album of new music in 2018 to mark their 20th anniversary as a duo via Average Joe’s Entertainment. The label released a new song “Better Me” — with Gentry taking lead vocals — to SiriusXM and select radio stations yesterday (Wed, Sept 13th) before a wide released tomorrow (Fri, Sept 15th). A public funeral is set for at 11 am CT today (Sept 14th) at the Grand Ole Opry House in Nashville. A private, family internment will follow. Those unable to attend can view a live stream of the service at the Opry’s website. In lieu of flowers, the family asks that donations be made to TJ Martell Foundation or the American Red Cross for hurricane relief. The 50 year old Gentry leaves behind a wife and two daughters. Is Garth Brooks heading for Apple Music?